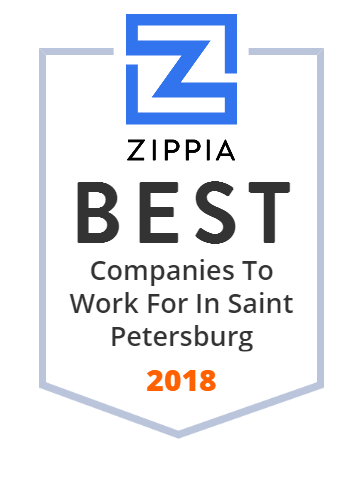 We hand-curated a list of the best companies to work for headquartered in and around Saint Petersburg, FL using data on salaries, company financial health, and employee diversity. PSCU, established in 1977, is the nation's first Credit Union Service Organization that serves more than 900 credit unions. PSCU provides secure business offerings to include payment solutions, risk management, digital banking, analytics, loyalty programs, strategic consulting, and mobile platforms. The company is made up of 1,900 employees. PSCU has its corporate headquarters in Saint Petersburg, FL. Great Bay Distributors, founded in 1968, is an industry leader in beverage distribution that offers quality beer, wine and non-alcoholic products. Today Great Bay Distributors represents over 30 suppliers with a wide portfolio of products. The company has over 360 employees that handle sales, warehousing, marketing, administrative, and other responsibilities. It currently operates two distribution centers in the greater Tampa Bay area, including St. Petersburg in Pinellas and Holiday in West Pasco county. The St. Petersburg Public Library System provides library resources to meet educational, recreational, cultural, intellectual and social needs of their diverse community. This library's service philosophy is to enhance the provision of programs, resources and services focused on the education, economy, ecology, equity, efficiency and engagement of the city of St. Petersburg, Florida, consistent with its community development plan. The Intrinio API serves Realtime and Historical Stock Price Quotes, Company Financials and more with 200+ Financial Data Feeds across the investment spectrum.